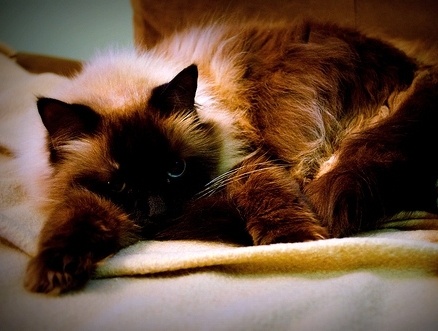 Ghlaghghee (2003 – 2015) was, for a time, one of the most famous cats on the internet. Her fame may have begun when her human posted a picture of her with bacon taped to her side in 2006, but it continued through her own twitter account and repeated appearances on the web, and led logically to her participation in other forms of fan writing. The internet still has cats. But none of them will ever be more fluffily regal than Ghlaghghee. Ghlaghghee's Obituary by John Scalzi.